Numbers can be cruel. Especially so to Lexus, it seems. 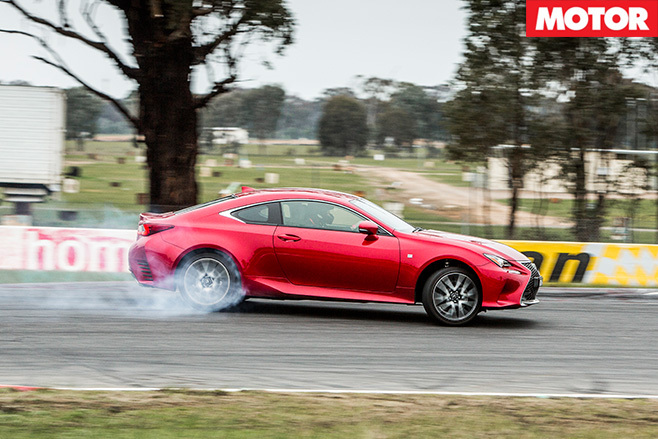 For the second year running Toyota’s premium arm occupies the bottom rung on the $50-100K ladder yet, just as with last year's IS350 F Sport, in this case the numbers don't paint a fair picture of the RC350's abilities. Put simply, as the only car in its class without some form of forced induction, Lexus's new two-door isn't particularly fast, and at $74,000 it's not particularly cheap, either – not a promising recipe for BFYB success. Its pace isn't helped by the fact that at some point in its development process the RC350 was clearly given free rein with the buffet; its 1680kg kerb weight is just 50kg shy of the twin-turbo, all-wheel drive Nissan GT-R.
As a result, Lexus's latest coupe scrapped with Renault Sport's Megane Trophy R for the straight-line wooden spoon, but whereas the Trophy R then set a blistering time around the track, the best the RC350 could manage was a 1:42.9. Not bad, but certainly nothing to write home about. As mentioned up front, however, what the numbers don't reveal is that the RC350 F Sport is a very entertaining steer, to the point that you'd really have to think long and hard about whether you wanted to spend another $60,000 on the V8 RC F.
The 3.5-litre atmo V6 might not be a powerhouse with 233kW/378Nm, but it howls like an old-school touring car and with eight gears to play with, it's not too much of a task to keep it revving in its 4000rm+ happy zone. Likewise, the RC350 might've gone too hard on the donuts during development, but there's little sense of its mass on track. There is heaps of grip – its minimum corner speed in Winton's famous sweeper was a competitive 108.01km/h – and the variable ratio steering means most corners are dispatched with little more than a quarter-turn of lock. Its behaviour at 10/10ths can be frustratingly inconsistent and it was marked down by the judges accordingly. 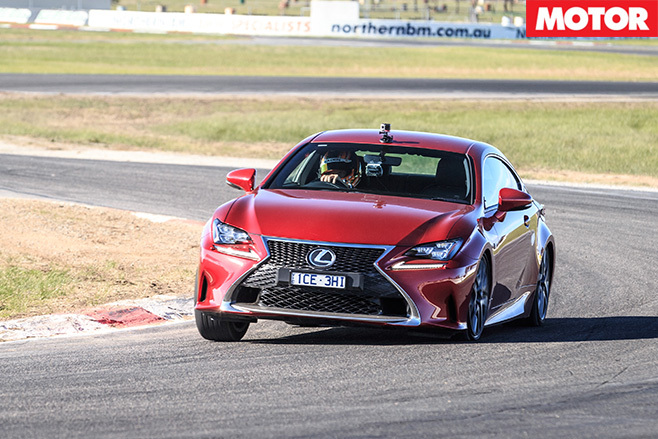 Please put a diff in the RC350 Lexus, it'll make it faster and more fun – it'd be cruel not to.